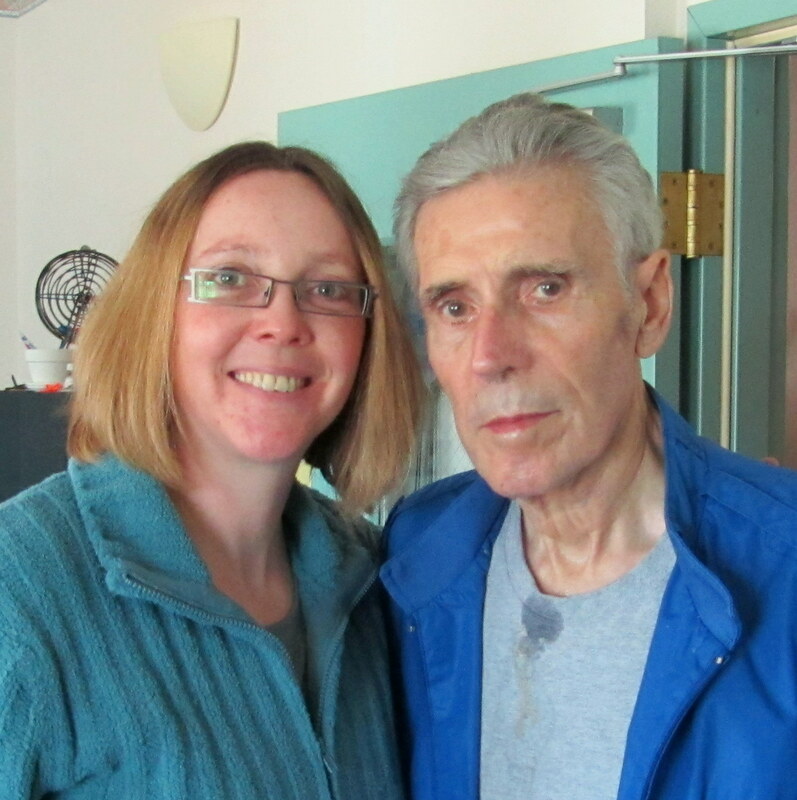 With Dad at the assisted living facility, March 2011. The Memories Project is my tribute to my father, Patrick Johnston, who died at the age of 79 in December 2011 from Alzheimer’s complications. During the first year of this blog project, I posted daily memories of my father. My goal was to collect all of the memories and stories I remembered about my dad, preserve them and share them with others in hopes of encouraging them to document their own family history. In subsequent years, The Memories Project has served as an advocacy tool for Alzheimer’s awareness and for increasing support for family caregivers. My mother, Jane Johnston, who passed away in May 2015 from colon cancer, is also a vital part of The Memories Project. I served as her primary caregiver after her cancer diagnosis just six months after my father’s death. I hope The Memories Project serves as inspiration for others to gather and preserve memories and stories of their loved ones now, because you never know when it will be too late. For more information about The Memories Project, visit my media appearances and publishing credits pages. Thanks for reading! And thanks for the community support. Joy Johnston has been a digital journalist since 2002, and has worked for the Atlanta Journal-Constitution, About.com, and AOL. She currently serves as a National Content Editor for Cox Media Group, where she specializes in creating viral content that drives web traffic and social engagement. Joy also works to raise awareness of Alzheimer’s, cancer, and caregiving through her blog, The Memories Project, and through essays that have appeared in digital and print formats. In 2017, Joy released The Reluctant Caregiver, a collection of her essays about caregiving. You can learn more about this project at her website, joyjohnston.com and via Facebook and Twitter. Joy also knows all you need to know about the gluten-free diet, diagnosed as gluten intolerant in 2005, well before it became trendy. She lives in Atlanta with her partner, along with a goofy pit bull rescue dog and two very spoiled cats. 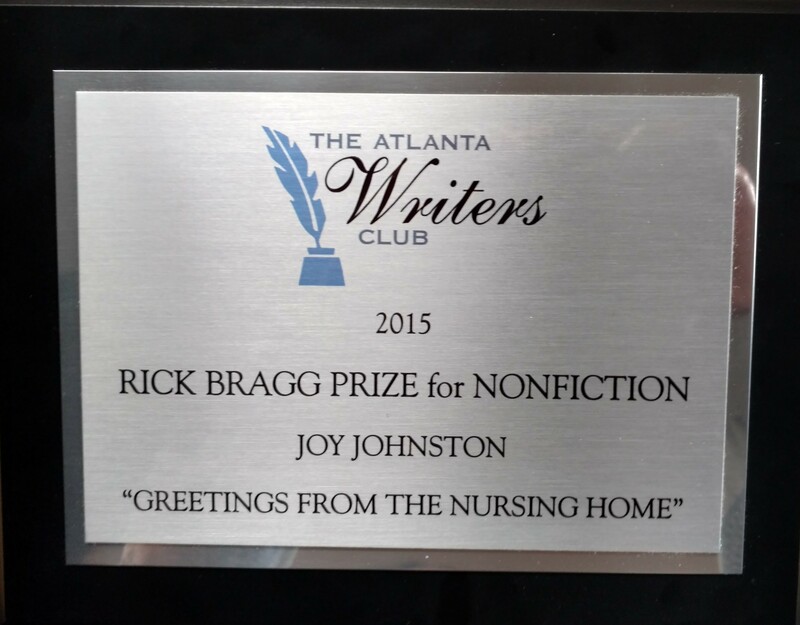 For more on Joy, visit her website, joyjohnston.com. Hello Joy. I hope you won’t mind me leaving a comment here. I heard about your project on Twitter. I feel we have a lot in common so thought I’d drop you a line. I lost my mother in 2006 suddenly, not to Alzheimer’s, but to a heart attack. Shortly after she died I discovered I was pregnant again. I was devastated to think that my child would never know this magnificent woman, and that her stories and photos would be ‘irrelevant’ to him. More importantly, it led me to think about my own life memories and how I had an obligation to capture them for my children whilst I am still here, to avoid this situation happening for another generation. I felt so passionate about this that I founded a website, free to use, called http://www.SaveEveryStep.com. It enables families to preserve their memories, laid out on a chronological timeline in words and pictures. The entire family can each save their own life stories here. It has recently occurred to me that the site may be a particularly useful resource for families with a loved one suffering from Alzheimer’s, hence my comment here. I wonder whether you could give me your thoughts, and/or let me know whether it’s worth contacting anyone else to offer the site to those who might make use of it? You can contact me at helen.spencer@saveeverystep.com. Kindest regards, and good luck with your project. Helen, what a great service you are offering! I think this could be of great use to families impacted by Alzheimer’s and other forms of dementia. I will follow up with you via e-mail. Oh Joy, I understand so well your feelings as I too lost my father, who suffered from Alzheimer’s. He died on Thanksgiving Day, 2009. For that first year, not a day went by that I didn’t think about him, how he was before Alzheimer’s, or how he was during the progressions of the disease. Your blog is a precious gift, for others and also yourself. Good luck. Ginny, thank you for the positive feedback. It is especially difficult to lose a loved one during the holiday season, as you understand so well. Thanks Lark, I’ve linked to your blog in my blogroll. Great resource, thanks for sharing! Dementia is going to be a huge issue in Britain and USA over the coming decades, so this site is a useful resource of experience of this sad condition. Alex, sadly that is true if effective treatment isn’t found soon. Thanks for commenting. This is such an important project! I feel it all over again when I read this. Dementia is a huge problem all over the world, and no-one seems to give enough attention to this. I do, even though I pay attention to it not due to pure dementia, but more about dementia-like conditions triggered by terminal illnesses.Either ways, it is important that more people know, and learn about the various illnesses that we’ve been neglecting. I write similarly (though not as regularly) about these – every word spread and every big more that someone learns, will be beneficial for those they care for. Absolutely, Rustic Recluse, I’ve learned so much about dementia from others as they share their experiences and knowledge. What a beautiful idea! So sorry to hear of your loss of your Dad. I lost my Momma to dementia in 2006. It is a tough and sad journey for sure. All the best with your lovely blog . Thanks Renee for your kind words, and sorry to hear about your mother. It seems like almost everyone I meet has been touched by Alzheimers and dementia in some way. YOU are very welcome. I so agree. It is a horrible disease for sure.. Thanks Sandra, the response has been so positive and I’ve connected with so many great people through the blog. I just wanted to say that I understand what you’re doing and why you’re doing it. I’m doing something very similar myself, only mine is for a shared audience at the moment. Thanks for sharing. Sounds like a wonderful project that you are putting together. I like how you are using Twitter to post selections from your mother’s diary. Thank you so much! I will definitely follow up. Loved your article on Diagnosing Alzheimer’s Disease: How Can Loved Ones Help? We also have a blog on our site at http://www.reviewsbee.com/blog/category/medical-alerts/, where we share resources, tips and useful information about our niche products, their features and specificities. Also, it will be a pleasure for me to promote anything of yours or provide you with anything I can and arrive to mutual benefit.